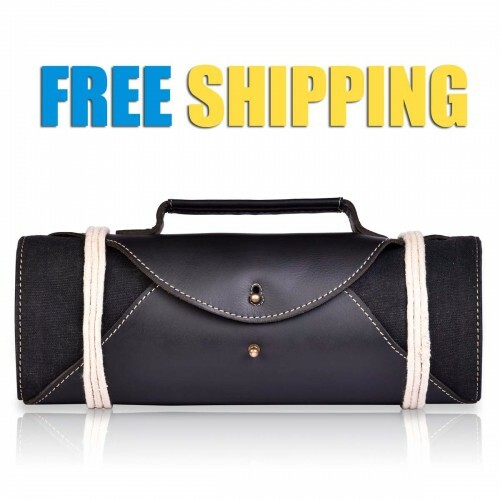 Portable tool kit set is an old styled portable tool box cover to carry tools in an easy way. Portable tool box organizers is designed perfectly for firm gripping over tools, keeping all of them intact and at one place with zero vibrations. 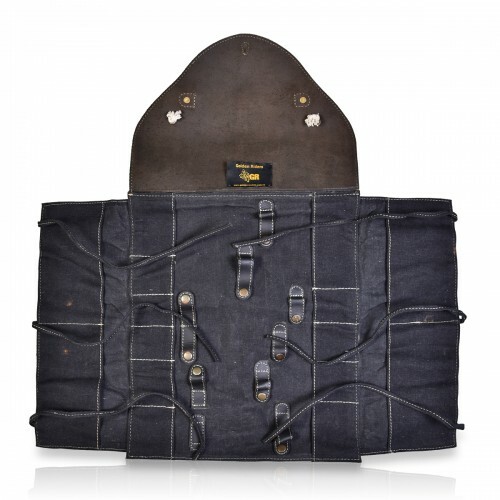 It is handcrafted in treated thick leather and military grade canvas. 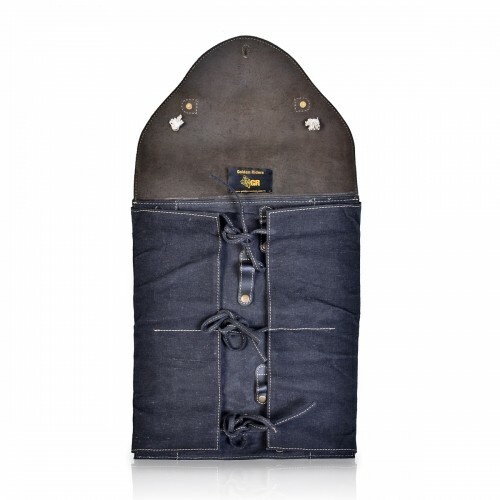 It consists of multi-slots for all sized tools, and small pockets to carry wires, tape, fuses, plugs, etc. 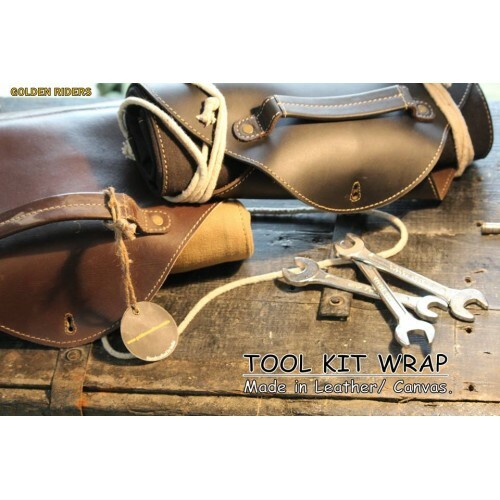 It can mount on the bike with white colored 2 x braids (6 mm thick) attached on the top-back side of the tool-kit wrap. 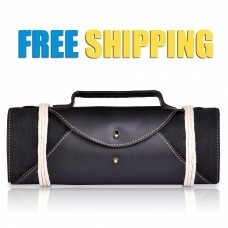 It has a separate rain-proof cover to keep wrap dust-free and tools rust-free. Handcraft in treated thick leather. Imported antique coated metal fittings. FREE SHIPPING Description# Big size - 50Ltr&n..
SUPPORT+91 8336933559 (3pm to 11pm)customercare@ri..
SUPPORT +91 8336933559 (3pm TO 11pm ANYDAY)DESCRIP..
Buy Golden Riders RYDRO 69L Motorcycle Saddlebag ..
SUPPORT+91 8336933559 (3pm to 11pm) | customercare..
DESCRIPTIONCrafted keeping in mind the COMFORT for..
FREE SHIPPINGSupport: +91 8336933559 | customercar..
Buy Shaving Kit Online at Attractive Prices Are y..
Buy Solace Road Warrior Claw Tail Bag Online Bu..